Ian Mather from Solihull Council joined me on a cold January Day to talk to staff, parents and children, make wands and plan our first Community event in Solihull at Meriden Park on 21st February 2019. As you enter the Adventure Park, you can’t help but be impressed by the volunteers who help run it, all of which live locally, welcoming you in, talking and playing with parents and children. There was a fire burning tended by a volunteer and fed by two children breaking up wood to feed the fire. Young people, parents and volunteers work not only to pick up rubbish and litter, but also to actually build dens and obstacles, and prepare so others can add to, paint and generally decorate what they build. 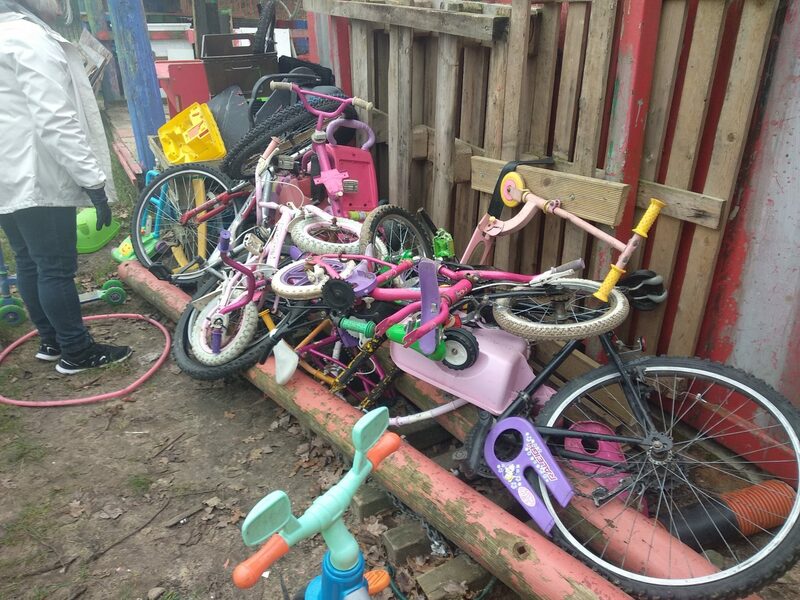 Recycling and re-using is important at the Adventure PArk, with Bikes regularly contributed, repaired and reused. Even on a Cold Saturday morning you can feel the warmth throughout the Park, making it easy for us to approach and talk to everyone – making willow wands as we chatted about issues important to parents, and what kind of things we could do to support a more active community. We met people from Solihull Life Opportunities – an organisation focused on adding value to the lives of individuals with learning disabilities. 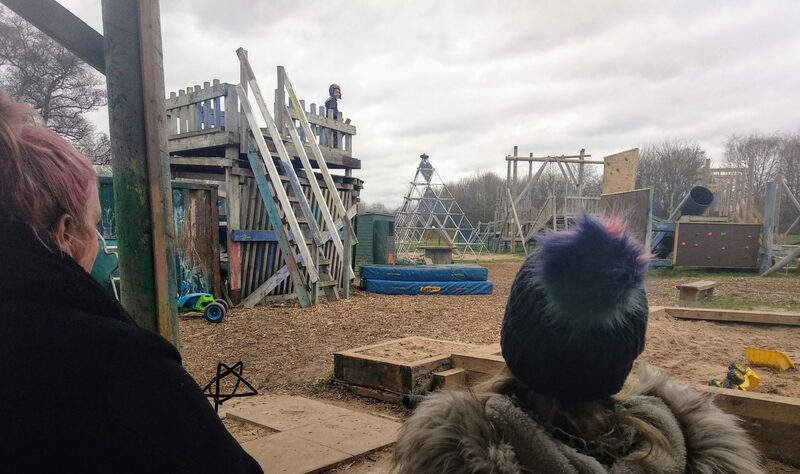 The Adventure Park is an exciting place where children can take risks, play and do what they want to do, and is also fully inclusive for adults and children of any ability or disability. I found out about other services in the area people knew about, like Get Active, the Bambury Club, Conservative Club, The 3 Cs (Catholic Community Club) and what is happening in the many local schools. Two parents commented on more of the after-school clubs charging, but also the efforts of local schools to engage with parents through Fundraising, Barbeque days, open days pre-school clubs and Inspire workshops. I found out about local events, which ours on Thursday 21st February 2019 at Meriden Park will build on, like Chelmunds Day in July. We’re all looking forward to getting to know everyone there better and working together more to create safer places for everyone to meet together and be active. Meriden Adventure Park clearly plays an important role locally, providing free activities in a safe environment, signposting to many other local amenities and providing extras like free food for children too.